Recent changes to the Google Search Algorithm & Search Engine Results Pages (SERPs) give a greater focus on Local Search Engine Optimization (SEO) & paid advertisements completely consume the “Page Fold” (The viewable part of the webpage that displays first before scrolling or clicking anything). With that said, Google & YouTube have undergone a tremendous shake up to how they pay out to advertisers & how monetization of content is achieved. First, Google cut down its 7-pack local search result mini-map down to only 3 results in late 2015. More recently in early 2017, the YouTube Adpocalypse further degraded the amount of income many of the popular YouTube channels earn. This also includes many conservative & progressive media sources. Some have even went on to create their own platforms as to survive these changes to YouTube & Google revenue streams. Some are even accepting defeat. All this historical data & verifiable metrics have pointed to the reality that Google is now a profit machine with demands from shareholders to take in as much revenue as possible to both support shareholder demands as well as other Research & Development efforts that have its details seemingly insulated from the public eye due to patent development secrecy & corporate espionage. Your options? Stop relying on Google for your web traffic & ad revenues. Have you ever tried to get someone to use a search engine other than Google? If you haven’t, expect push back. People like giving all of their most personal details & information to giant corporations, for free. They have been trained to do so since birth. Bing has a decent toehold on the search market at a growing 20(ish)% but 1 in 5 searches on Bing versus 7 in 10 searches on Google is hard to overcome. There are a few other search options that literally bribe people to use their search tools through rewards programs that earn users money for eyeballs & clicks. Even with bribery on the table, people are extremely adamant about sticking with the company that spies on them & makes billions off their users personal data & personal habits. If you are a small business owner with a brick & mortar storefront address & you are ready to accept that Google is an American made monopoly in the web search market, then you are ready to start managing your online presence. There are many companies & aspiring web developers who hope large data networks like Yext (a partner of Yahoo!, now part of Oath, with its search engine powered by Bing) will include them in what is arguably a form of collusion & extortion. The sites & data sources that are not part of the Yext Network are potentially worse as they are not well vetted, well developed web systems that provide accurate data that has been cobbled together from a multitude of unknown sources. You may see such listings have a single piece of information that matches your company, perhaps 2 or 3, but will have serious issues that cause loss to your potential customers, phone calls, app users & website viewers. This is a rare case where a small business made a public & concerted effort to combat systems completely out of its control. They way Google ranks page results was working against this small business following an address change. A surprising number of companies posted a response to the “public call out” of bad or outdated business info. Most of them ignored the requests completely, though. It appears that many of these companies were sued (or threatened with indefensible libel & negligence lawsuits) into correcting the Wholesale Tile Showroom Name, Address, Phone Number (NAP) consistency. Correcting a vast major of the inaccurate business listing issues on many of these sites & systems either get extremely slow response, or they have broken systems. It could be argued most directory sites DELIBERATELY do not allow external input from users or business owners; That their sites make it impossible to update your own information or to contact the site owners & webmasters to correct the problems. The really slick & dastardly directories mask its WHOIS records. Perhaps reaching out to a great legal team that handles this type of libel law may be effective. In the long run, taking legal action may actually be better than spending money on a cute dog commercial. $3500 a month for Television ads may not have as positive of an affect as getting your Local SEO under your control & working FOR you instead of against. Yext & other “Business Directory Listing Networks” or independents can charge anywhere between a single $5 to $50 expense for changing business information on a single site, to $250-400 per month to “join a service” that will handle this information for you. A quick search on the web (with any search engine, really) with the oft questionable site you seek to update plus the word “scam” in front of it, will reveal a lot about the companies reputation & legitimacy (e.g. https://www.bing.com/search?q=scam%20judysbook). While attempting to optimize your search results for Google, specifically, is a GREAT place to start (& end, for that matter), there is approximately 35% search traffic generated through results from alternatives like Bing, Ask & DuckDuckGo. You may not get as awesome web traffic numbers from search engine alternatives. That said, they are MUCH LESS COMPETITIVE in optimizing desirable keywords. For the more intelligent “old schoolers” of web search, having the map listing appear while doing research is actually a nuisance as it results in a SERP page with few results (e.g. google.com/search?q=St+Pete+Tile). Getting a lions share of the top ranked results in 20-35% of the search market share for a difficult-to-acquire top 3 result on Google SERPs might make a difference in your overall online presence & brand marketing. It is certainly a factor worth considering when paying for exposure. The de-evolution of Google’s search result usefulness due to corporate greed could trigger an exodus of its services usage. This would only happen if competing products with greater usefulness are allowed to emerge in the future web indexing landscape. Some internet users are smart enough to know that Google is a “greedy dinosaur” in the web search landscape. This is despite advances of Alphabet in other developmental areas of the web (like all the Google branded APIs). Searching with Google has debatably become the least intelligent ways to use a computer & Google caters to the less intelligent. Still though, some people of lesser intellect have families, jobs & own cars & houses. A small business could thrive on the money that makes capitalism function effectively rather than continuously letting a virtual monopoly like Google harvest peoples data & make money from them in a variety of intrusive ways with virtually no reward. Google has gone so far as to publicly post how busy a particular location is at any given time of day by tracking peoples cell phones & timing how long their visits to any business location are, in real time. Google has grown since its early days existing on college campuses through the generosity of public funds, federal grants & other peoples money that funded the fledgling “start up” on various college campuses through the US. Now, it participates in political influence, control the web market & user data collection. Not only that, but it controls the masses of its user base that barely knows how to use any internet capabilities other than 3 or 4 apps like Facebook, Twitter, YouTube & Uber. Many users speak everything they search into their phones & the sources of results that are spit out are unknown to the user. Any navigation app a user may have installed requires a small business to have current info from the data source. Google Maps API is used on roughly 80% of online business directories of varying quality & accuracy. The Google Maps code is extremely easy to use in its basic form. Especially only for showing a singular location at a given address. It’s basically just a simple copy/paste operation. All major search engines have made it this easy to add its maps to a webpage. This adds something functional in an otherwise useless use of CPU clock cycles. Simple code snippets like these often drive shoddy development for a majority of business directories. Regardless of how damaging this irresponsible use of data is to the success of small business to compete with larger corporations & franchise “chains”, Google still factors these into its relevance ranking algorithm. They are not the only search engine that does this, but they are the most important. Being “King of the Web” comes at a cost of having a target on your back. For Google, its much deserved. There seems to be very little being done to prevent “espionage level” damage to small business. Such tactics as “negative SEO” is an example that Google clearly has the proper algorithm skills to prevent. Its focus is apparently on a SERP page layout that is covered mostly in Advertisers links, instead. This is the typical de-evolution of a company once it successfully implements an Initial Public Offering (IPO). There was money to be made from Google’s stock in the early years of its stock, but where does the company grow from here? Government Contracts? Paid-only result results? 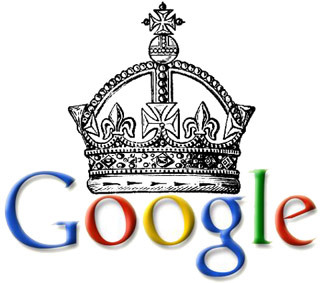 Investors in Google stock are acclimated with seeing over 1000% return on investment (ROI). They want to see their investments continue to grow. They are now squeezing every possible cent services that were once a building block of the web. Where does that leave small business after 2 decades of having web users find their companies through search engines? Google is capitalizing on multiple generations of web users being creatures of habit & the tightly integrated Google products into the Android Mobile Device Platform. Until people realize that their clicks, taps & everyday behaviors are how Google is making its fortune & push back on its political involvement, the Idiocracy of the majority of web users will continue to be profit machines for the monolithic “King Google”. Tact Money: Money & Politics © 2019. All Rights Reserved.